Codified allows researchers to quickly understand the genetic variation in their samples. Start by uploading genomic data in .vcf or .bam file formats to our secure portal. If you have trio data, Codified will search your samples for de-novo and compound-heterozygous variation. Your data will be rapidly analyzed by our bioinformatics pipeline and readied for presentation in our analysis interface. Genomic variants are prioritized according to our proprietary algorithms. All of the information you need to follow ACMG guidelines in variant categorization are provided. Use pre-built filters to see slices of your data for variants based on the inheritance pattern, disease relationship and more. You can sort, filter and search on a wide variety of parameters. Variant histories and comments tell you about previous curations of the variant. Phenotype terms for the sample can be entered using the HPO standard. Variants in genes related to those phenotype terms will be automatically prioritized by the variant review tool. Every variant is matched with extensive data from internal and external databases to help in variant classification. These data provide insight into the effect of the variant on the transcript and protein, the minor allele frequency, the predominance of the mutation type in the gene, sequencing quality, predicted deleteriousness of the mutation. In addition it provides gene-level information on expression, disease association and more. A set of advanced tools provide a more nuanced look at your data. The Absence of Heterozygosity (AOH) tool shows continuous regions of homozygosity in your sample, potentially revealing large deletions or consanguinity. 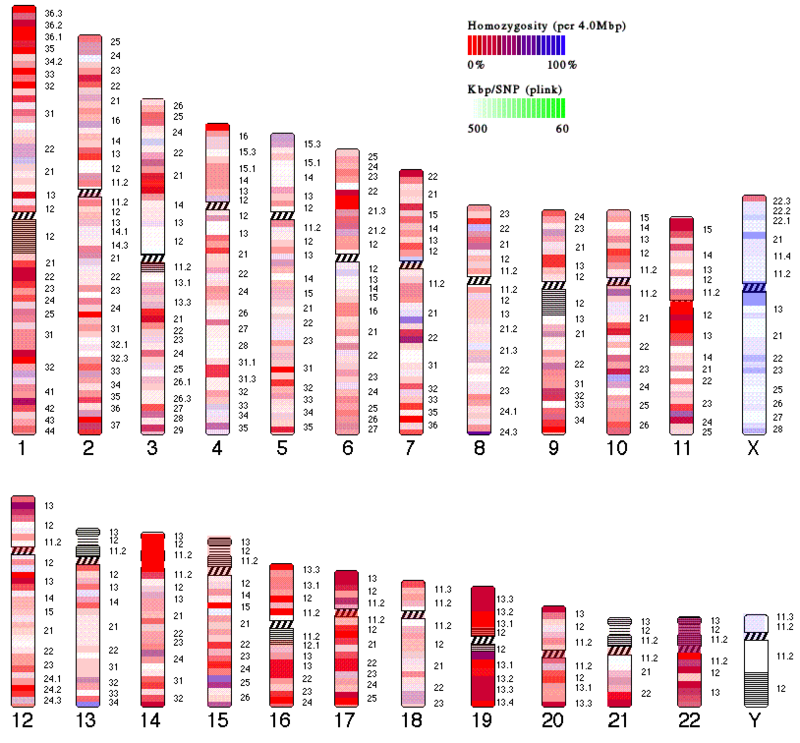 The Discovery tool focuses on variants in genes where little is known, and the Paralogs tool highlights genes in variants with a well-studied paralog. Our Cohort tool shows variants that are either shared by or distinct to a particular sample in a small set, as well as genes with a statistically high burden of variation in the cohort. Our Codex tool adds an additional filtering step, even more stringent than our default filters. The goal is to prioritize a small number of variants per sample to be rapidly reviewed, often following a gene-centric workflow. This tool is especially applicable to high-throughput gene-panel based testing. Our QC tool allows you to spot problems in your data early on in the review process. We highlight a range of metrics related to sequencing quality, including multiple gene coverage metrics and TI/TV ratio. 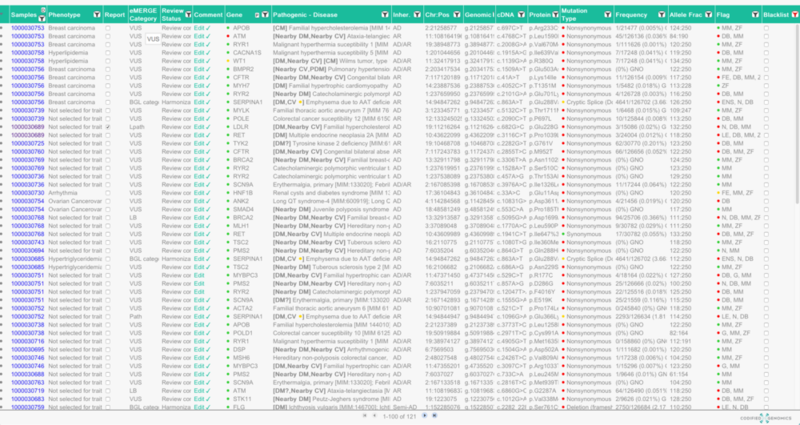 A view showing other samples that share rare variants can help detect sample swaps during trio analysis. Select variants to add to our research report. You can export the research report in pdf format as a portable description of impactful variants in your sample.